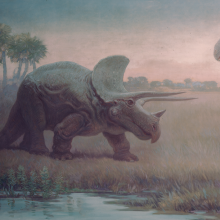 Prehistoric soft tissue can be hard to come by. 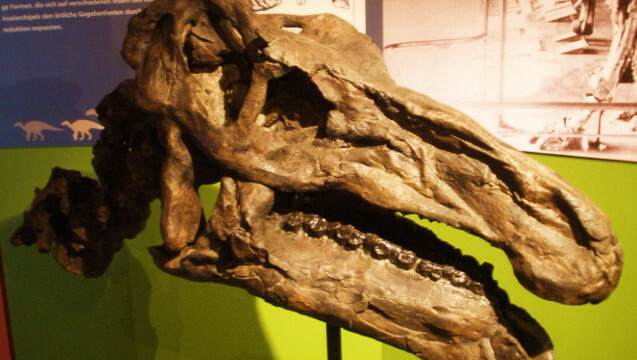 The preserved remains of dinosaur brains have long remained elusive—until now. Iguanodon bernissartensisWIKIMEDIA, GHEDOGHEDOAt the height of the Cretaceous Period, one hapless herbivore—likely related to Iguanodon—fell backwards into a bog, smacked its head, and addled its brain. Now, around 133 million years later, scientists have uncovered a sediment cast of that brain, etched across eons into the dinosaur’s mineralized skull. 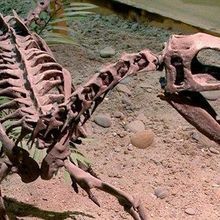 The fossil, described in a study published last week (October 27) in Earth System Evolution and Early Life, is incredibly well preserved and, according to the authors, may be the only extant impression of dinosaur brain tissue. 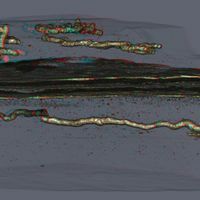 After examining the pebble under a scanning electron microscope, Norman and colleagues were able to make out blood vessels, capillaries, cortical tissue, and even the remnants of meninges. 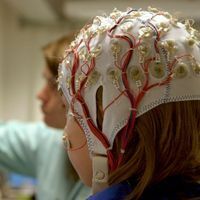 They discovered that the brain was structurally similar to those of modern birds and reptiles, and proposed that the bog’s fast-acting acidic waters probably preserved its finer features. Although the dinosaur’s brain appears larger than expected, the researchers caution that this is likely an artifact of the decaying process. “As we can’t see the lobes of the brain itself, we can’t say for sure how big this dinosaur’s brain was,” Norman said in a statement.